The dry, vast lands of Cape Canaveral. The frantically blinking lights of the control room. “T minus 10 seconds and counting” croaks a crackly radio. Smoke billows. “6 … 5 … 4 …” The engines spark. Thunder rolls across the field. Launch into the stratosphere imminent.But wait, this is not the pioneering ascent of the first humans to ever step foot onto extra-terrestrial land. It’s the countdown to another memorable moment, etched firmly into the history books. 1st August 1981, zero hundred hours, and MTV is officially launched into the skies, propelling the music video through space and onto television sets for millions of eyes to see. It may have ‘Killed the Radio Star,’ but it also brought a vast wealth of art and culture to life. 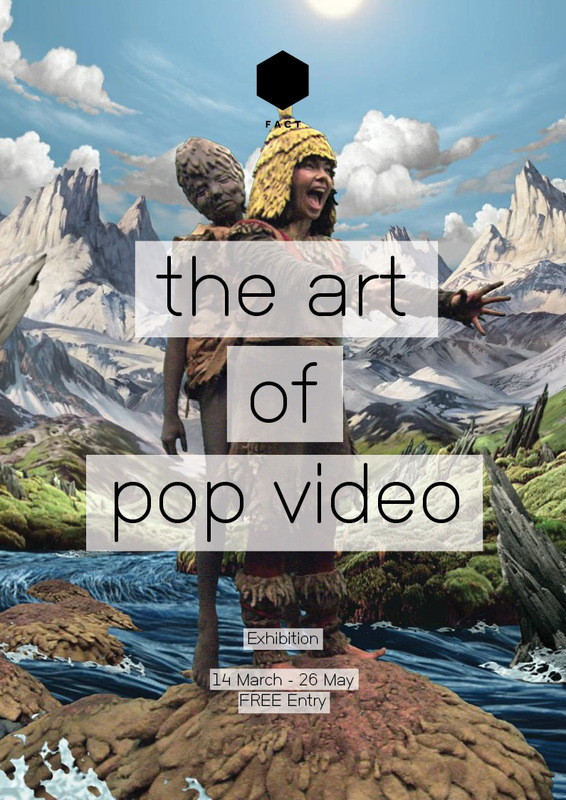 Opening on March 14th , FACT’s highly-anticipated exhibition The Art of Pop Video, unveils the story of the pop video’s evolution, celebrating it as an art form in its own right and addressing its longstanding influences within both the artistic sphere as well as our everyday lives. 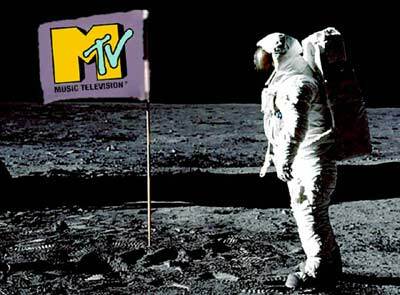 With MTV’s lift-off, a “globalised” model for the music video was defined and paraded across the globe into mainstream media. Yet the exhibition verifies that its moment of birth was not in fact via the music channel empire, but that it arose instead from a long family tree of artistic ancestors. Displaying over 100 clips, it begins with the earliest days of the music video, in the form of Man Ray’s 1926 surrealist fusion of music and image “Emak-Bakia.” Moving steadily through the archives, the influences of early Hollywood musicals will be considered (just take a quick glance at Marilyn Monroe’s performance of “Diamonds are a Girl’s Best Friend” with Madonna’s “Material Girl” in mind to grasp the significance.) It will also present the forerunners to the music video as we know it today with the “pop promos” of the 60s and 70s, like Queen’s “Bohemian Rhapsody” and clips from The Beatles. By the time MTV hit the airwaves, the music video was clearly ready for the spotlight. The music industry of the 90’s leant heavily on the notion that a successful music video guaranteed a hit in the charts. The huge budgets and freedom for artistic experimentation that ensued brought many prominent creatives flocking to the scene. Examples of what FACT has to offer in this area are The Cars’ “Hello Again” directed by Andy Warhol and Don Munroe, Madonna’s multi-million budget videos directed by “Fight Club’s” David Fincher and Michael Jacksons’ “Bad” by Martin Scorsese. 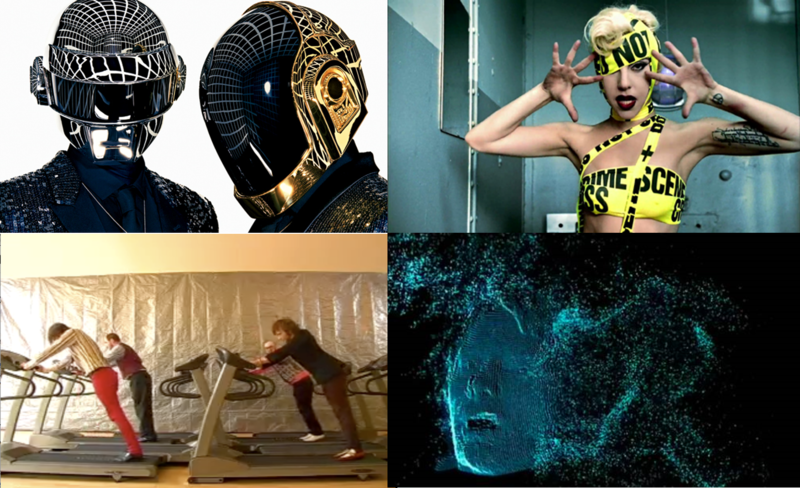 It will move right up to present day examples of works that have made their mark on the pop landscape, such as Daft Punk, Lady Gaga and Radiohead. In a post-MTV age, the exhibition comes at a time when the established model of the music video is unstable, perhaps set to take another transformation at any moment. In light of this, the exhibition includes OK Go’s no-budget, home-made promo video to “Here it Goes Again,” that quickly became a viral YouTube hit and now boasts an 8-digit number in the views section. The Art of Pop’s diverse catalogue of clips will tie together over 80 years of music video history, illustrating how the medium has evolved to yield some intensely powerful, inspiring and ground-breaking melodic fruit. It inspires the recognition of the music video as an art form rather than simply promotional clips that aim to rake in mammoth profits. By blurring the already confused lines between art and popular culture, it is sure to stir up some debates as well as provide a jamming session to some good old classic pop tunes.